A foremost adventure travel company since 1996, Alpha Tours Deira Dubai is a great and brand name in the International tourism Industry. The unique helicopter service of the company, introduced in 2007, provides you with an opportunity to tour around the beautiful Dubai that has a diverse and bewitching region with the benefit of both a striking location and a dreamy climate. Helicopter service operates throughout the year to make it possible for you to see Dubai from sky. The driving force behind the Alpha Tours Deira Dubai is perfectly skilled team of people, who are enthusiastic about travelling and who go all-out to set the high watermark in adventure and customer service. There is no Metro Station in the close surrounding of the Alpha Tours Deira Dubai. So it is better to go by bus or personal car. Palm Atlantis Monorail Station is Alpha Tour’s nearest bus station as it is just 900m away, making hardly 11-minutes’ walk. Once you reach this bus stop, head North and then turn left. Now, take a slight left turn and right turn. 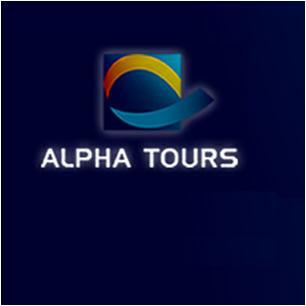 Find the Alpha Tours on your right hand side. View Map.